Brent Krahn, starting goaltender for the Texas Stars last year, was put on waivers today by the Dallas Stars. The waiver wire placement indicates that Andrew Raycroft won the backup job behind Kari Lehtonen in Big D. Both Krahn and Raycroft signed two-way contracts with hopes of making the backup spot. Raycroft, who has played for Boston, Toronto, Colorado and Vancouver, is a veteran backup in the league after losing his one-time starting job in Boston to one Tim Thomas (who later lost his starting job to Tuukka Rask). Krahn cannot clear waivers until 11 AM Friday. His earliest possible action would be Saturday against Oklahoma City. From Mike Heika, we also learn that Aaron Gagnon, Travis Morin, Francis Wathier, Maxime Fortunus and Brad Lukowich had to be sent down through waivers. 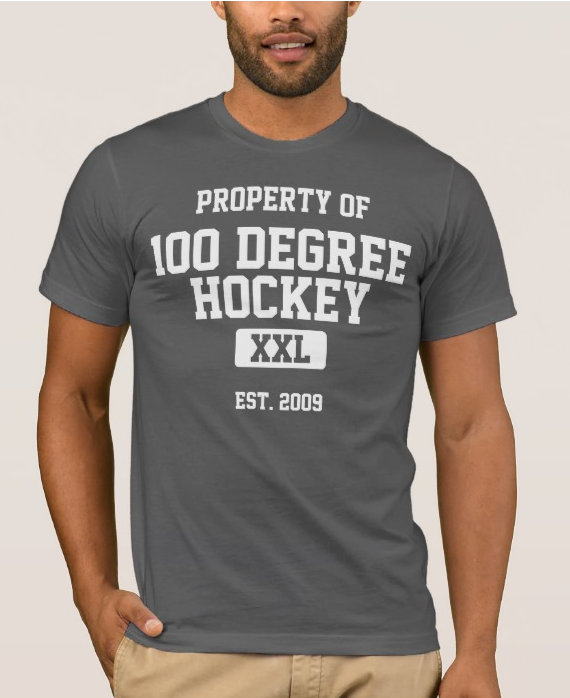 This happens when players have hit certain limits in terms of NHL games played or player age. Hopefully the Stars can sneak these guys through to Cedar Park without anyone else noticing. If the players are claimed by another team, they become Dallas's property again if they do not make the other team's NHL roster. 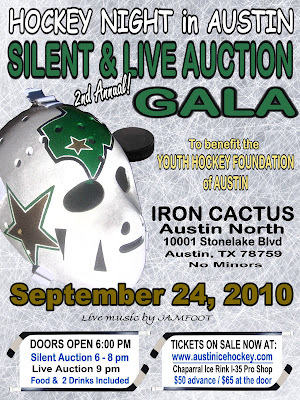 The Texas Stars report for physicals Monday and have their first on ice practice on Tuesday. Texas plays their first preseason game on Thursday at San Antonio. As many of the Texas Stars prepare for the season in training camp in Prince Edward Island, the facilities crew at the Cedar Park Center has been hard at work preparing the facility to host American League hockey games once again. The process of laying down the ice, which was taken out after the conclusion of the Calder Cup Finals against the Hershey Bears, began last week. The surface, which is a base sand layer that includes the cooling elements, is made of cement. The cement is covered with an initial layer of ice and then whitewashed to give it a blinding bright sheen. With another small coat of water is laid down and then comes the part that I was involved in. Putting down all of the logos, lines, dots, and other markings on the ice is a painstaking multi-step process. Luckily, the crew at the Cedar Park Center had some volunteer help this past Saturday in the form of several able-bodied amateur league adult hockey players. The facilities team had already stenciled out the logos and lines as required when the crew arrived on Saturday morning. All that was left to do was color inside the lines using special Jet-Ice brand ice paint and foam brushes. To make the task more difficult, the ice was, at this point, only 1/32 of an inch thick. This meant that there could be no direct contact between the ice and any part of the body that would cause heat transfer. As the Arkansas vs. Georgia game blared on the Jumbotron above, painters moved around their masterpieces on islands of cardboard to prevent the ice from melting under them. Drips and drops were cleaned up and straight lines perfected with a scraper. After each item was completed, it was sealed by misting it with water. The facilities team will still need to flood the rink with one inch of water to complete the job. With all of this work, the Texas Stars are just one more step closer to returning for their second season in the Cedar Park Center. Scott McCulloch - Signed last year to a 1 year deal with the Texas Stars, the young forward seems to be getting a look with the big club. Often times though, these training camps are ways for clubs to evaluate talent for their minor league teams as well, so expectations should be tempered on that front. Travis Morin and Greg Rallo - Not to toot my own horn, but at some point last year I predicted that Morin and Greg Rallo would both get looks at NHL training camps this year. Luckily for us, both are getting looks at Dallas. Morin is already signed with Dallas and Rallo with Texas. Matt Tassone - The one-time Stars draft pick is now with the Texas Stars. Based on his performance in the AHL, expect Dallas to re-evaluate the forward. Jordie Benn - The defenseman, the older brother of Jamie Benn, played all season last year with the Allen Americans. It will be interesting to see whether Texas or Idaho takes a look at him. 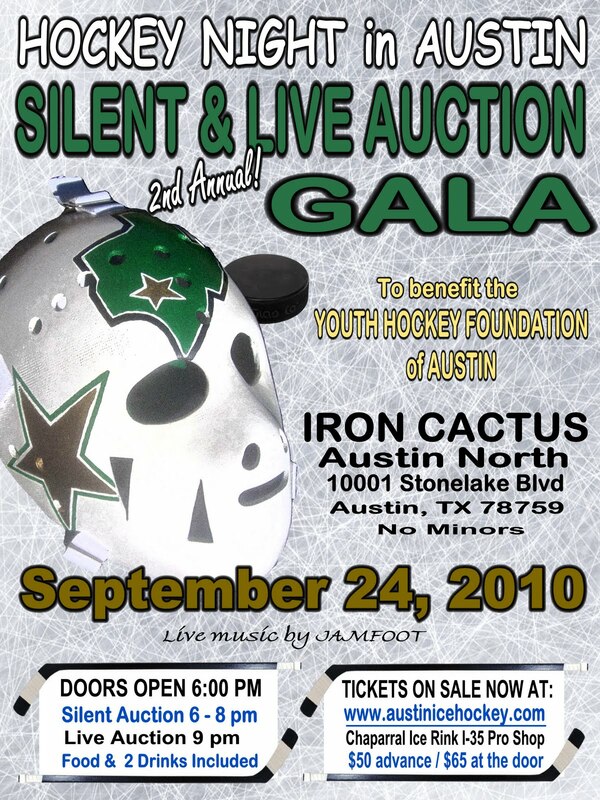 Others who played for Texas that are on the roster include Aaron Gagnon, Luke Gazdic, Michael Neal, Ray Sawada, Colton Sceviour, Mathieu Tousignant, Francis Wathier, Maxime Fortunus, Brad Lukowich, Matt Stephenson, Richard Bachman, and Brent Krahn. Those on the roster expected to be with Texas this season include Ondrej Roman, Tomas Vincour, Severin Blindenbacher, Jace Coyle, Guillaume Monast, and Tyler Beskorowany. While most Austinites will be settled in front of the TV or roaring loudly at DKR-Texas Memorial Stadium tomorrow, at the same time as the kickoff of Texas versus Wyoming (6 PM CST) the Dallas Stars prospects team will be stepping onto the ice against the Detroit Red Wings prospects team. The Stars' roster, which is posted here, features several players from Texas's 2009-10 squad, including Colton Sceviour, Luke Gazdic, Michael Neal and Mathieu Tousignant. Other players of note include new signees and other expected to join Texas in 2010-11, such as Ondrej Roman, Matt Tassone, Tomas Vincour, Philip Larsen, Jace Coyle, and Tyler Beskorowany. 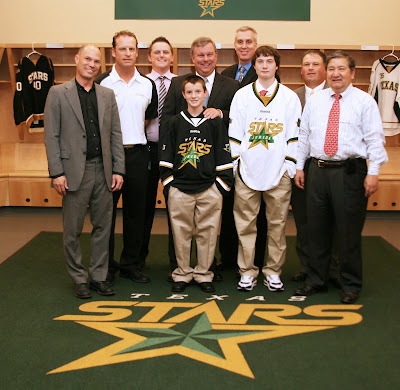 Also in the fold are Stars top draft picks from the last two years, forward Scott Glennie and goalie Jack Campbell. The tournament, which features the Stars and seven other teams, runs from Saturday until Wednesday with a game for each team each day. The Stars are in the Howe Division which plays opposite of the Gretzky Division. The full schedule is here. Over the next several days, I will report on the games. Another great resource for the games will be Mark Stepneski's ESPN Stars blog. Mark is in Traverse City for the tournament.